Henry Cage seems to have it all: a successful career, money, a beautiful home, and a reputation for being a just and principled man. But public virtues can conceal private failings, and as Henry faces retirement, his well-ordered life begins to unravel. His ex-wife is ill, his relationship with his son is strained to the point of estrangement, and on the eve of the new millennium he is the victim of a random violent act which soon escalates into a prolonged and mysterious harassment. Who is doing this? And why? 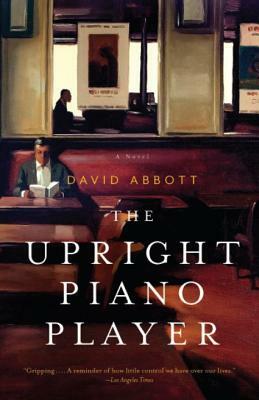 Full of exceptional grace and emotional power, The Upright Piano Player is a wise and acutely observed novel about the myriad ways in which life tests us—no matter how carefully we have constructed our own little fortresses. DAVID ABBOTT worked for forty years in the advertising industry as a copywriter and creative director. He was a founding partner of Abbott Mead Vickers, Britain’s largest advertising agency. This is his first novel, and he is at work on his second.